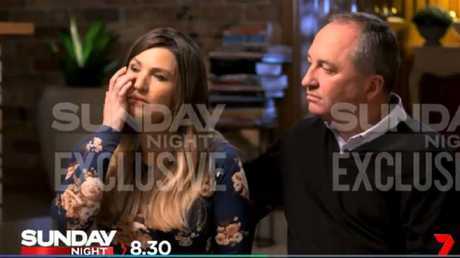 BARNABY Joyce and his partner Vikki Campion have sensationally claimed they were pressured to abort their baby. Coalition MPs have labelled the claims "ridiculous", but said they felt for the former deputy prime minister after he took personal leave amid the public backlash. 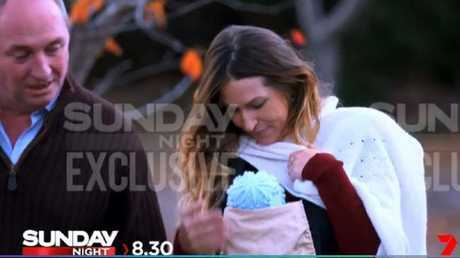 In a promotional clip for a controversial interview with Channel 7's Sunday Night program - for which the network paid $150,000 - the couple said there "were people who tried to stop the baby being born". Confusion emerged yesterday about the length of time Mr Joyce has taken personal leave. He tweeted he was taking leave only until June 15, which contradicts a statement by Nationals whip Michelle Landry who said he was away "until the end of June". "Contrary to reports, I'm taking leave until June 15 following a routine check up. The medical certificate provided allowed for a month," Mr Joyce's tweet said. "I look forward to resuming parliamentary duties. "The electorate office will continue normal operations in this fortnight." Ms Landry said Mr Joyce "came to me" and "requested personal leave - effective immediately, running to the end of June". "Given his circumstances, and in consultation with the Deputy Prime Minister and the Chief Government Whip, I approved his leave request," she said. In the Channel 7 clip, Ms Campion said there was "political pressure" placed on the pair to have an abortion. "They said if you don't, they're going to come after you," she said. Mr Joyce is then heard to say: "They did." Mr Joyce's colleagues yesterday said he was clearly under "considerable pressure". "Who are 'they'?" one Coalition MP asked. "We are now talking about conspiracy theories." Mr Joyce has denied he will benefit from the interview and said the money was going into a trust for their son Sebastian. Earlier this week, Mr Joyce said the interview was Ms Campion's idea. It is understood Mr Joyce left Canberra after being granted the leave on Tuesday night. Mr Joyce left his wife Natalie after having an affair with Ms Campion, who was his media advisor at the time. Ms Campion's father Peter yesterday hit out at media criticism of his daughter, saying the "envy is palpable and sickening". 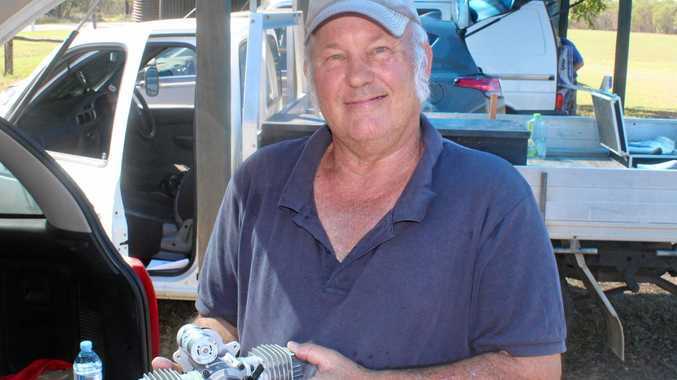 "It seems the media think it's OK to make money and score ideological points out of Baanaby (sic) and his family while prohibiting them making money and scoring ideological points out of the media," he said.